University of Arizona Press, 9780816502820, 130pp. Fleeing a failed marriage and haunted by ghosts of his past, Luis Alberto Urrea jumped into his car and headed west. Driving cross-country with a cat named Rest Stop, Urrea wandered the West from one year’s spring through the next. Hiking into aspen forests where leaves “shiver and tinkle like bells” and poking alongside creeks in the Rockies, he sought solace and wisdom. In the forested mountains he learned not only the names of trees—he learned how to live. 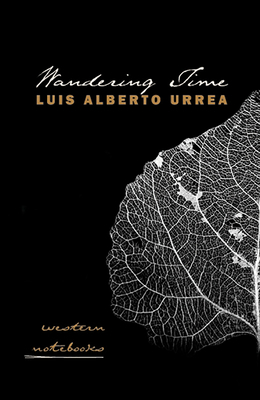 As nature opened Urrea’s eyes, writing opened his heart. In journal entries that sparkle with discovery, Urrea ruminates on music, poetry, and the landscape. With wonder and spontaneity, he relates tales of marmots, geese, bears, and fellow travelers. He makes readers feel mountain air “so crisp you feel you could crunch it in your mouth” and reminds us all to experience the magic and healing of small gestures, ordinary people, and common creatures.